“Summertime at the Silver Spur means busy days and slower nights,” says co-owner Dan DeWitt. “Winter, it’s the other way around.” There’s lots to do at this bar, grill and pool hall. From the brother-sister team that runs the place to dad’s bookwork, and an uncle who lives out back, everyone pitches in. Pool and dart leagues attract customers from fall to spring. When the ice breaks, nearby construction projects boost the lunch trade. The Silver Spur boasts a full service bar, specialty burgers, salads, tacos and nachos. Come by on weekends, when they open up early to serve their famous Silver Spur skillet breakfasts. Tony Eash and his wife Betty dug an impressive foundation—4300 square feet under a deli, restaurant, bakery, dry goods, groceries and decor, to be exact. 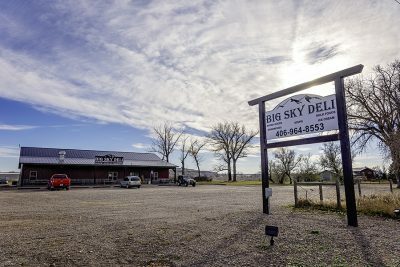 Big Sky Deli, located on US 89 just outside Vaughn, opened in May, five months before the birth of the family’s third child. 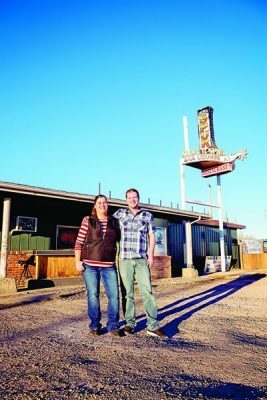 Big Sky Deli offers cheeses and meats, fresh in-house baked goods, breakfast and lunch menus, espresso and brewed coffee…pretty much all the amenities of an old-fashioned country store, including Montana-made Smoot honey, Wilcoxson’s ice cream, and local leather and wood work. 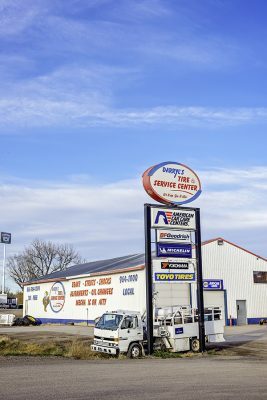 Log onto Darryl’s Tire & Service Center’s website and you’ll hear a jingle: “Why would you dare go anywhere but Darryl’s?” Judging from how far folks travel to have their cars and trucks cared for by Darryl, that’s a darn good question.